It's that time of the year again, July 4th, it's got the party feeling in the air and you just can't wait to burst outside and party! Well we're all the same, after a long winter with some heavy storms and very cold days we finally are able to fully celebrate the summer weather on the July 4th party and celebration date! Not everyone is equel and not everyone parties the same and in the same style, some just like to sit out on the beach with their loved ones beside them, others use this day to travel half the country and then there are those who actually like to party and they party hard. The perfect party is usually done best with family and friends, having the day off of work and being together with your close family or friends is just great and that alone calls for a celebration, rarely do we take off from work to be with our loved ones. When you're actually sitting down already to the party, barbeque or whatever you have planned, at that moment you just want to enjoy every moment of it, really enjoy it. There is one thing that many people work so hard before and after a party, "dishes", ever wonder why you are so busy planning what kind of dishes you'll be using and if you have enough of the china plates or servingware and the worst part is the after affects of it, you gotto wash them and be careful not to break or crack them, so we've got some great help for you. Using disposable party dishes at your party is so convenient and really just makes the whole party so much more enjoyable, plastic party plates are probably the best gift for any one organizing or preparing a party, celebration or event. From upscale disposable tableware to the most basic serving utensils, these are the thing that will change the way you enjoy your party. 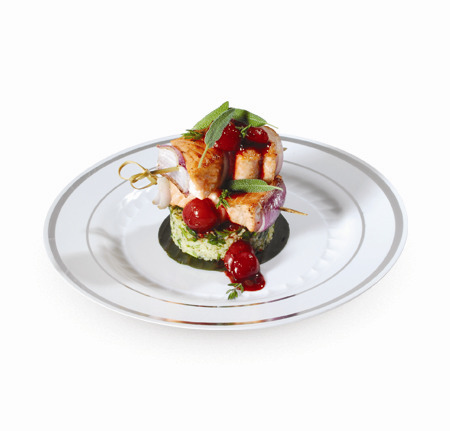 That said, go ahead and check out some of our disposable dinnerware products and make sure you really enjoy your party this year and every party from now on, our products are really durable and high gloss for an upscale and real china look, they are recyclable as well in order to keep our commitment to our lovely environment! Happy holidays and cheers to a great party!